The Metacom MC614F is one of the only products on the capable of managing ADSL, LTE, fibre and Wi-Fi on a single integrated platform. While previous models did make use of fibre connectivity to provide WAN support, this model allows fibre to terminate directly on the router itself, delivering higher speeds, throughput and data capacity. The MC614F has received a significant upgrade to its processing capacity to meet the demand for higher data throughput. 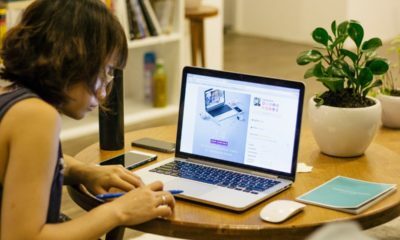 Thanks to the 1GHz iMX6S Arm Cortex A9 processor, the router has the capacity to simultaneously run video content, apps and managed Wi-Fi services to thousands of remote stores. The MC614F router also has a SFP slot that accepts 100BASE-LX and 100BASE-SX and 1.25G SFP modules, and a Wi-Fi module with support for multiple SSIDs with diversity antenna. Improved VLAN management with the ability to handle multiple VPN connections, as well as Quality of Service (QoS) now allows for a secure point of sale network to operate over the same physical infrastructure as a retail video network and/or a customer Wi-Fi network, without compromising security or transaction success. The MC614F has been custom designed to be seamlessly integrated into the Metacom VPN environment, assuring customers of exceptional quality, connectivity and access to its managed services. Square Enix has announced the final downloadable content (DLC) adventure for Shadow of the Tomb Raider, “The Path Home”. Click here to watch the trailer and to read more about the DLC. Following the end of Shadow of the Tomb Raider, the dust had settled and the battle seemed over. However, when allies go missing, Lara must search ancient tunnels to try and find them. 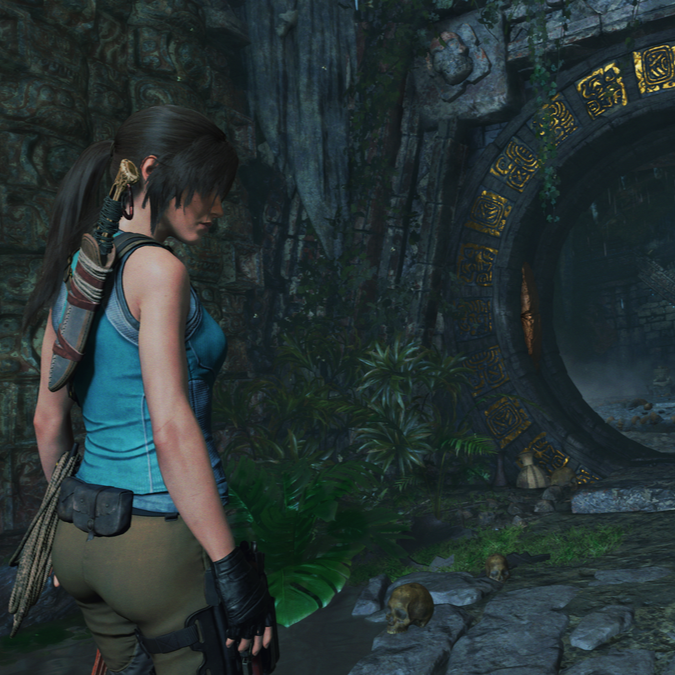 Lara’s new journey features a new challenge tomb, which contains a secret that’s been hidden for ages. Also exclusive to the Season Pass are the new Midnight Sentinel outfit, which enables longer focus and perception durations, and the Silver Strike bow, which causes arrows to penetrate enemy body armour or even pierce multiple unarmored enemies. In addition, the new Magic Touch skill allows Lara to consume fewer resources when crafting on the go. Completing the Season Pass additions, Score Attack and Time Attack are now playable for all tombs from the main game. Shadow of the Tomb Raider is available now worldwide on Xbox One, PlayStation 4, and Windows PC/Steam. The Season Pass is available for $29.99. “The Path Home” is exclusive to Season Pass holders and the DLC cannot be purchased separately. Razer has announced updates to its Blade 15 gaming laptop, called the Advanced Model 2019, which features Intel’s latest 9th-generation 6-core processors and a 240Hz display for ultra-smooth gameplay and maximum color fidelity. Click through to read more about the gaming laptop. The Razer Blade 15 Advanced models will now be available with a 240Hz Full HD or 4K OLED touch display option while the Razer Blade 15 Base model gets a boost to 144Hz Full HD and GeForce RTX™ graphics. The new Razer Blade 15 Advanced comes packed with the latest 9th-generation Intel Core i7-9750H CPU clocked at 2.6GHz with Max Turbo speeds up to 4.5GHz. The new 6-core processor offers creators faster workflows and increased efficiency while giving gamers reduced bottlenecking and better multitasking for streaming. The Razer Blade 15 Advanced models will sport the new Intel Wi-Fi 6 AX200 WLAN card capable of achieving up to 2.4 Gbps so users can spend less time waiting on updates and more time playing. 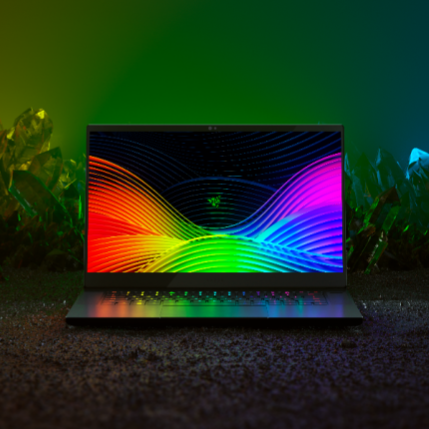 Razer takes laptop gaming experience to the extreme with the new 15.6” Full HD (1920×1080) 240Hz refresh rate display available on the new Razer Blade 15 Advanced. 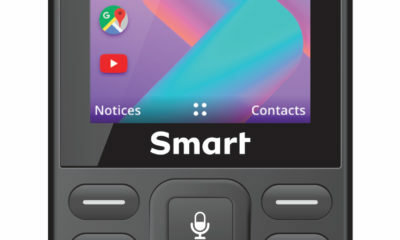 From hunting down enemies to scrolling through long documents, the high refresh rate on the edge-to-edge display will make for a faster and more enjoyable experience overall. The display covers 100% of the sRGB color gamut and is custom calibrated to deliver amazing visuals experience out of the box. The Razer Blade 15 Advanced 4K OLED configuration is driven by NVIDIA’s GeForce RTX 2080 to ensure the greatest performance possible. 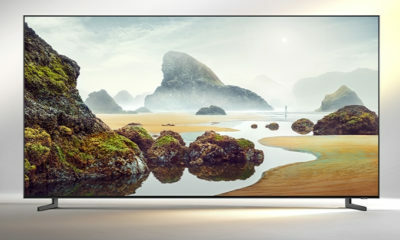 The 4K OLED display covers 100% of the DCI-P3 color gamut, is HDR 400 True Black-certified, and has a 1ms response rate. This allows the display to deliver rich vivid images. The display is a touchscreen that has TUV certification for reduced blue light output, limiting strain on users’ eyes. Each laptop in the range is milled from a single block of aircraft-grade aluminium and anodised with a matte finish to create a sleek and scratch-resistant exterior. The OS remains bloatware-free without any unnecessary apps slowing down performance. The large glass touchpad comes with Windows precision drivers to ensure that every click is precise. The Advanced models feature customisable per-key Razer Chroma backlighting, while the Base models utilise single-zone lighting design on their keyboards. Both keyboards can be customised with 16.8M colour variations.